President Trump said on Monday that he spoke with the king of Saudi Arabia and that the ruler denied any knowledge of what happened to a missing Saudi dissident journalist. After the call, Mr. Trump said it was possible that “rogue killers” were behind the disappearance of the journalist, Jamal Khashoggi. Mr. Trump’s comments, in amorning Twitter post and later in brief remarks to reporters, come as the Saudis have given Turkish authorities permission to search the Saudi Consulate in Turkey, where local officials believe Mr. Khashoggi, was killed and dismembered earlier this month. The president said the secretary of State, Mike Pompeo, was traveling to Saudi Arabia later Monday morning to meet with King Salman. “It sounded to me like maybe these could have been rogue killers — who knows,” Mr. Trump said. In introducing the possibility that another party could have been involved in Mr. Khashoggi’s disappearance, the president opened a window for King Salman and Crown Prince Mohammed bin Salman to stand by their denials. If the Saudi leaders are found to be behind what happened to Mr. Khashoggi, Mr. Trump would probably face more pressure from Congress and other countries to respond. The Saudi state news service reported a slightly different take on the conversation. In it, according to the report, Mr. Trump praised the cooperation between the Saudis and Turkish officials as they investigate Mr. Khashoggi’s disappearance. The president also cited “the keenness of the kingdom’s leadership to clarify all relevant facts,” the Saudi news service reported. American intelligence agencies had previously intercepted communications of Saudi officials discussing a plan to draw Mr. Khashoggi back to Saudi Arabia from his home in exile in the Washington area and then detain him, a former senior American official said last week. The official, who spoke on the condition of anonymity to discuss confidential intelligence reports, said it was possible that this type of plan could have been carried out without the knowledge of the Saudi rulers. Senator Christopher S. Murphy, Democrat of Connecticut, wrote in a Twitter post on Monday that he had heard the Saudis were pushing a “rogue killers” theory and called it “extraordinary” that the kingdom was able to get the president on board. Mr. Trump previously said the episode would not have an impact on American relations with Saudi Arabia, a close ally in the Middle East. But Mr. Trump was already facing pressure from some in Congress to respond to the Saudis with some kind of economic sanctions. The United States’ relationship with the Saudis has always been somewhat of a delicate balance, weighing economic considerations such as oil — and currently arms sales — with the kingdom’s record on human rights abuses. As of Monday, the Treasury secretary, Steven Mnuchin, was still planning to attend an investor conference in Riyadh later this month where the Saudi crown prince was expected to speak. Some American companies that had planned to attend the conference, including The New York Times, have already pulled out since Mr. Khashoggi’s disappearance. 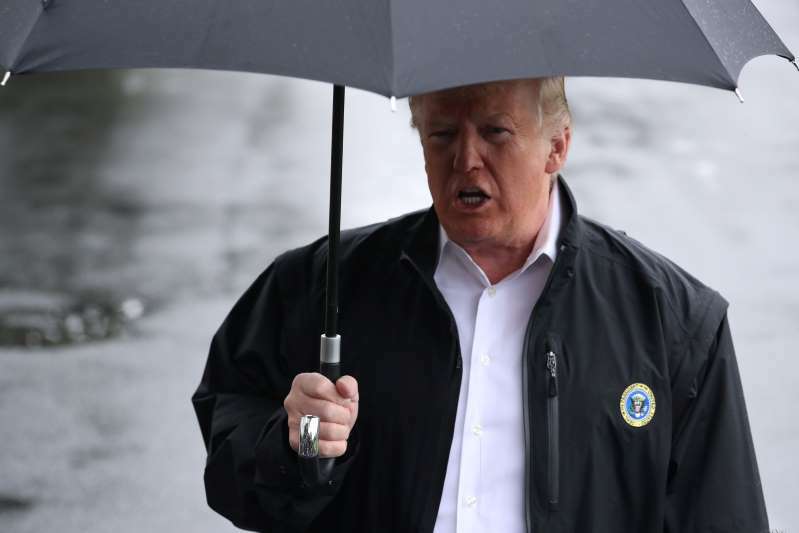 On Sunday, in an interview with “60 Minutes” on CBS, Mr. Trump said that even as the Saudis deny involvement in Mr. Khashoggi’s disappearance, it was still possible that they were responsible. Mr. Trump said that because Mr. Khashoggi is a journalist, the case was even more serious. Mr. Khashoggi went to the Saudi Consulate in Istanbul on Oct. 2 to obtain a document for his wedding and he has not been seen or heard from since. The columnist is one of the best-known media personalities in the kingdom and has been a confidant to several previous kings and princes. Mr. Khashoggi moved to Washington after Prince Mohammed began a kingdomwide anticorruption crackdown, including efforts to silence dissidents. Friends of Mr. Khashoggi’s speculated that the columnist’s harsh words about the crown prince in columns he contributed to The Washington Post — including comparing Prince Mohammed to President Vladimir V. Putin of Russia — landed him on the prince’s blacklist.